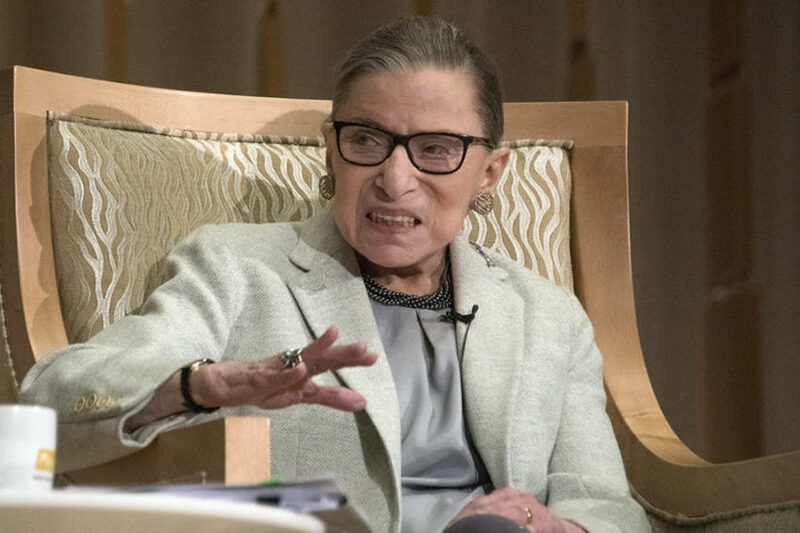 (JTA) – Supreme Court Justice Ruth Bader Ginsburg attended a memorial in Washington D.C. for the late Israeli author Amos Oz. The event was held last week at Temple Sinai in Washington, and was cosponsored by several Jewish organizations including the New Israel Fund, Americans for Peace Now and J Street. It was a rare public appearance by Ginsburg, 86, who has been recovering from cancer surgery. She did not make any public statements at the event. The author’s daughter Faina Oz-Salzberger tweeted a photo of her and Ginsburg, who reportedly told Oz-Saltzberger that she attended the event because she is a fan of the writng of Amos Oz. “Ruth Bader Ginsburg did us the honor of attending the Amos Oz memorial event at @templesinaito today. A very moving day,” Oz-Salzberger tweeted. Speakers included Oz-Salzberger; J Street’s Jeremy Ben-Ami; New York Times columnist Roger Cohen; and American-Israeli actress and director Natalie Portman.